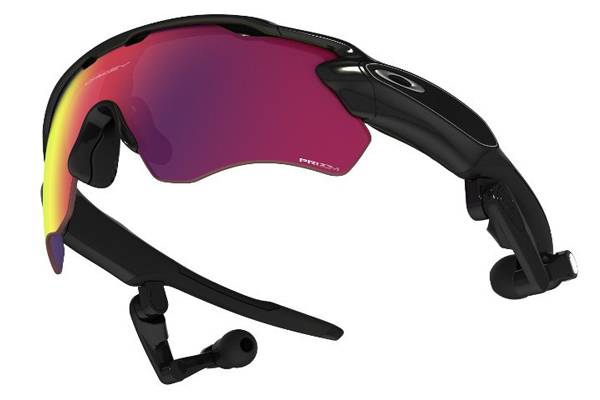 Oakley has seen further than ever with its new Radar Pace sunglasses. In addition to protecting your eyes from glare and UV rays, your Oakley sunglasses are now also a personal coach, using sensors to gather a host of data that informs you of your progress in real time. A unique collaboration with tech giant Intel for an optimal workout. Radar Pace sunglasses are equipped with a tiny microphone to capture voice commands. Need to know your speed, heart rate or pace? Simply ask, while in movement. Now that’s high-tech! Fitted with the latest Bluetooth technology, Radar Pace glasses connect automatically to a variety of detectors and sensors, whatever the manufacturer. The system uses a dedicated application (Android and iOS) and can connect to social media through RunKeeper and Strava. Radar Pace sunglasses ($570) also include clear lenses for low-light conditions and two travel bags.